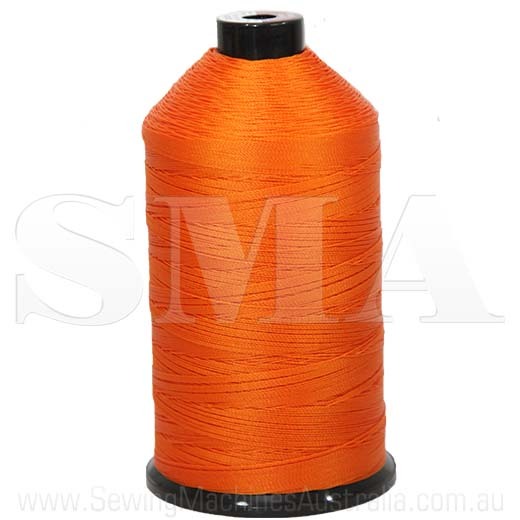 Coats Dabond v138 1500m UV Treated Orange Sewing Thread is a bonded polyester sewing thread, designed for applications exposed to the sun, salt water, wind, marine conditions and anywhere that can be tough on threads. The Dabond range of UV Treated Sewing Thread is ideal for Horse Rugs, Sailmaking, Boat tops, Flags, Tents, Awnings, Canvas, Tarps, Inflatables, Hot air balloons, Marine lift slings Marine tiedowns, Military supplies and all applications requiring chlorine bleach fastness. Can withstand UV degradation in all outdoor applications exposed to marine water and sunlight.